Marks & Spencers has teamed up with a princess for its latest collection | HELLO! Marks & Spencers have announced their newest collaboration - and it's pretty exciting! The high street retailer has joined forces with Princess Marie-Chantal of Greece to create a capsule collection of clothing, accessories and gifts for little ones. "I am so excited about my very first collaboration with M&S and feel that the Marie-Chantal and M&S collection has captured the magic of childhood in this collection," said Marie-Chantal. 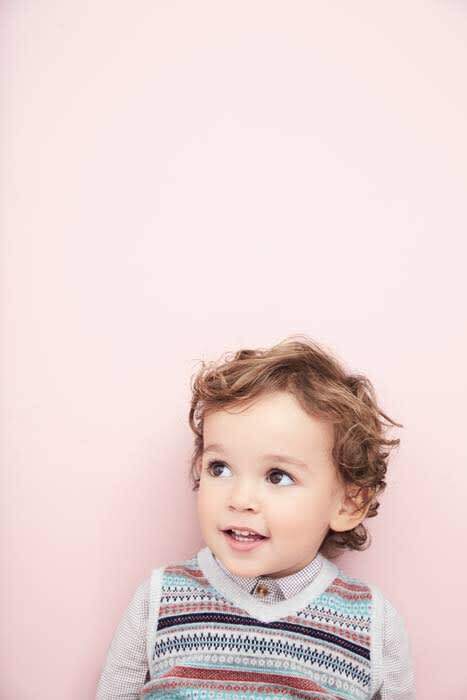 The mum-of-five added: "Together we have designed a beautiful collection of clothes and gifts for baby, boys and girls in a soft and sweet palette. A classic yet contemporary collection which is also fun and playful." The collection, made up of 33 pieces, will land in stores and online from 1 November. It's the same date as another of the brand's high-profile collaborations launches – Alexa Chung's Winter Archive by Alexa. The royal already has her own very successful eponymous childrenswear company, which counts Victoria Beckham and Kim Kardashian among its clientele. Speaking to us in an in exclusive interview last year, Marie-Chantal opened up on dressing her four children, including 20-year-old Olympia, who has been making waves in the fashion industry recently. "It's important to dress our children well," she said. "I have some wonderful memories from my childhood and so much is associated with what I was wearing. If you look good, you feel good – simple." Asked whether Olympia borrow anything from her wardrobe, she said: "I love how Olympia dresses, she has great style but she is, of course, only 18, so if she borrows something of mine, it's likely to be a cosy knit in the country or, if we're back in London, a bag or pair of shoes."